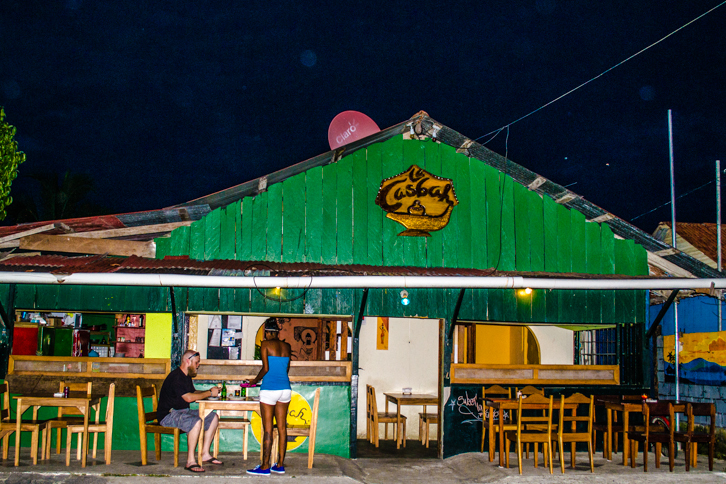 La Casbah in Bocas del Toro, Panama is located in a heavily-traveled road on Isla Colon but if not for the fact that a personal friend works here, we might have passed right by this hidden Caribbean treasure. The unassuming tables in what could loosely be called a patio area left us almost sitting on the street, but aside from a few taxis we enjoyed the fact that one of the best features of Bocas del Toro is the general absence of disturbing vehicle traffic. 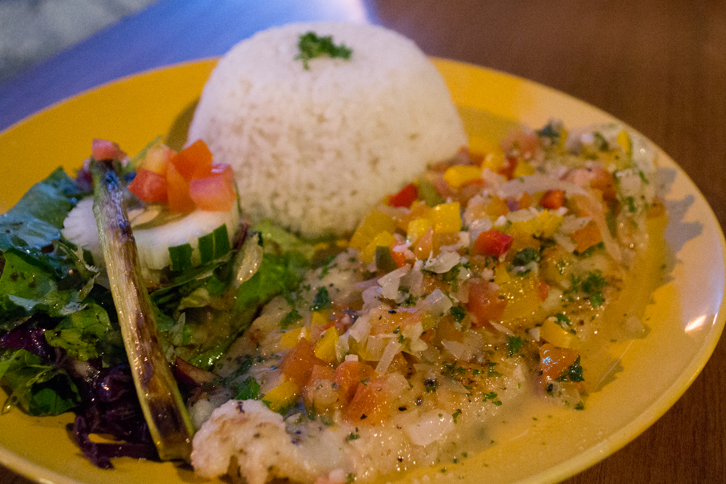 The fresh filet of sole prepared in a delicious garlic & ginger marinade went well with a surprisingly tasty plate of felafel and of course local beers freshened us up after strolling through the neighborhood in the evening.